Wimborne Hinton Martell is approximately 4 miles north of Wimborne, off the B3078 Wimborne to Cranborne road. Turn right into the village, signposted hinton Martell. Drive through the village, passing the fountain on the right. 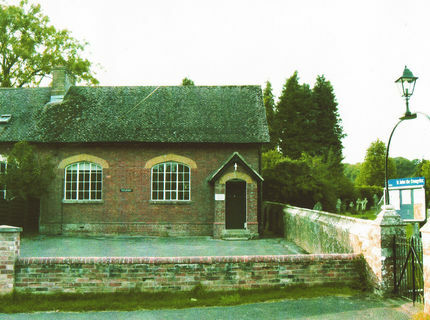 The hall is next to the church, and is a listed building and ex village school.